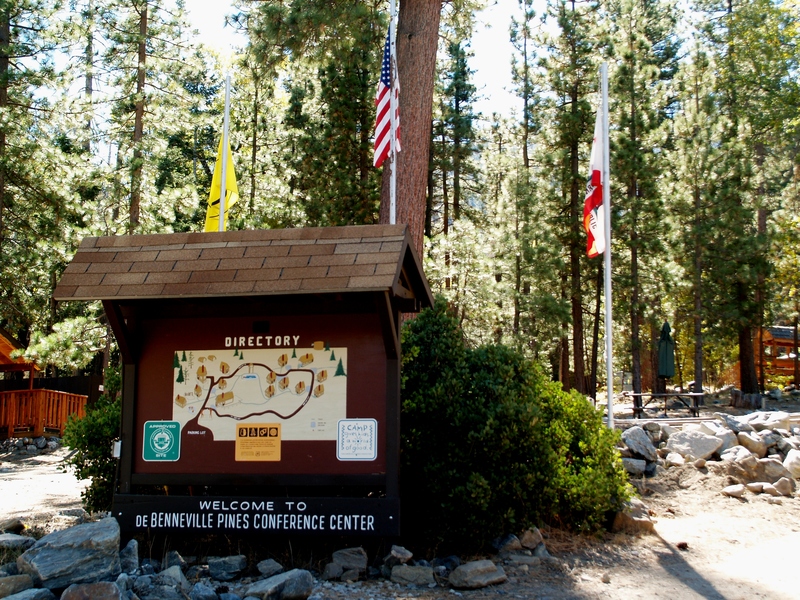 Our site consists of seventeen acres of land in the Barton Flats area on the north slope of the San Bernardino Mountains, just outside of the San Gorgonio Wilderness. The Camp is about a mile from Jenks Lake on Jenks Lake Road. Descriptions of individual cabins, individual cabin floorplans and descriptions of other buildings,can be found by clicking on the the individual main menu choices under Facilites.